The Big Lie has become quite tiresome to debunk. I have written countless times, and more well-known and well-connected pundits have shared that the Democratic Party is the part of racists, progressives, of Nazis, of white supremacy. The media continue to push the false narrative that the current rally going down in Charlottesville or in Washington DC is a "Unite the Rally." Sure, that's what David Duke, Patrick Little, Richard Spencer, and Jason Kessler want to call it. I have already written at length about Richard Spender and the rest of the other speakers. 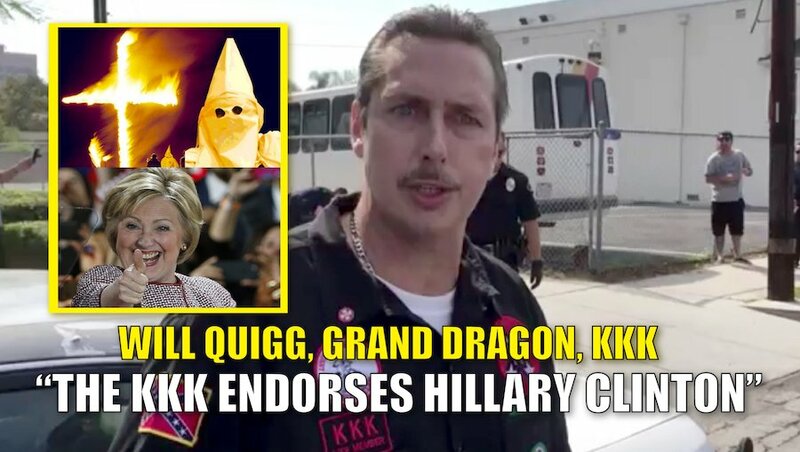 Now let's focus on David Duke. This guy is not a Republican. He does not belong to the right in any way. He is a statist, and he is a leftist, although he clings to pushing "white nationalism" and white supremacy instead of embracing the multicultural, left-wing, social justice warrior talking points of La Raza and Black Lives Matter. What we say in Charlottesville, and what we are seeing a racialist civil war among the socialists in our midst. 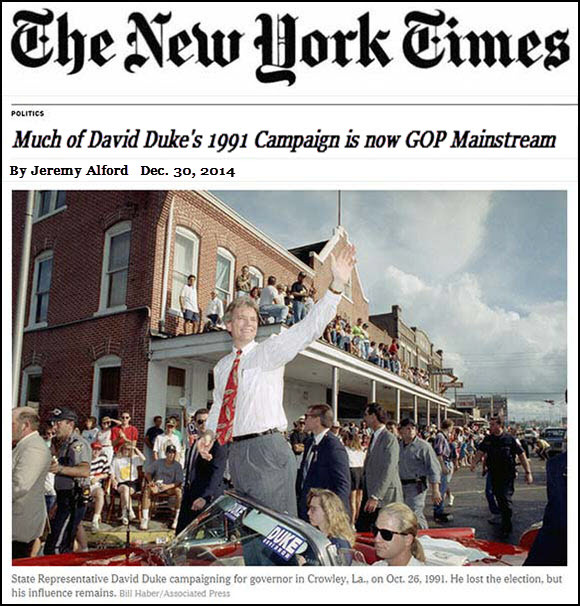 Let's talk about David Duke. This guy is a well-known white supremacist. What the media and the Democratic Party don't want to talk about, however, is that he is a life-long Democrat, not a Republican, and definitely not among the right. Check out Wikipedia for starters, which lists his many party affiliations, mostly with the Democratic Party, but not nearly as much with the Republican Party. Notice that he joined the Nazi Party before he joined the Democratic Party. What a surprise! Notice also that his association with the Republican Party has been demonstrably fleeting, but also quite failing. 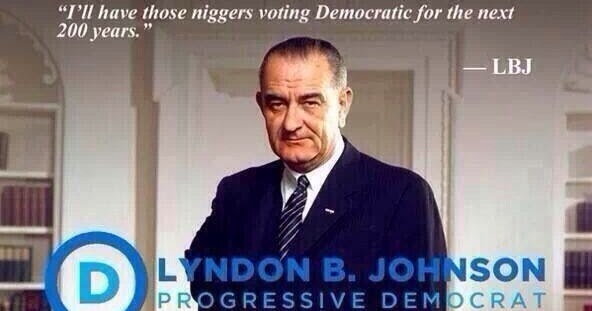 Not once but twice he ran as a Democrat. 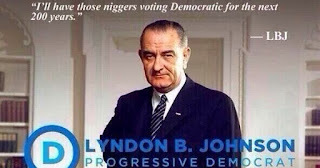 Right away, Duke and his white supremacist rhetoric belies that whole "Big Switch" fraud pushed by the Democratic Party, that the Democratic Party had abandoned its racist ways and then the Republicans took it over. Notice that these elections took place after the Nixon era, when many progressive revisionists claim that the two parties began switching, with Richard Nixon appealing to racist sentiment in a so-called Southern Strategy. Duke also ran for President ... as a Democrat! 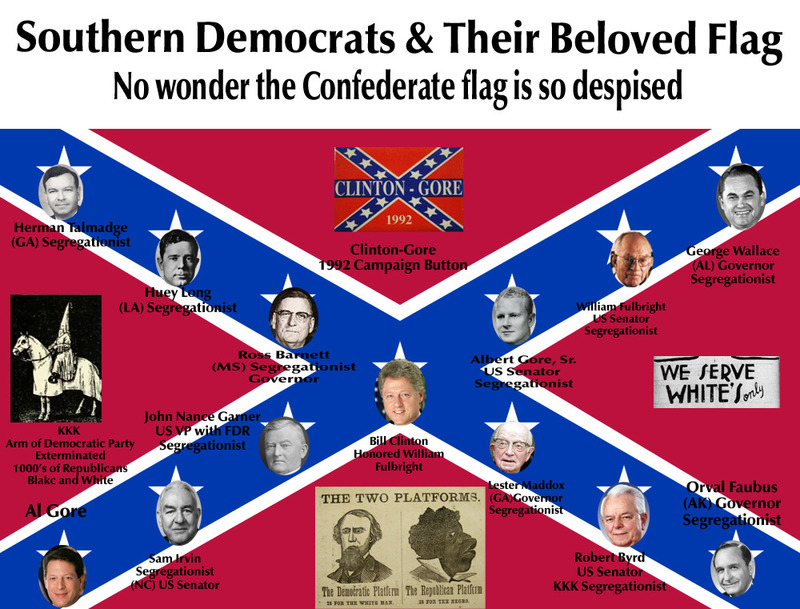 Duke ran on the Democratic label as long as he could, and for the record he has been a Democrat much longer than he has been a Republican. Indeed, he did run and win office as a Republican twice. He was elected to the Louisiana State Legislature. When he ran for Governor in 1991, as a Republican, he claimed -- to the New York Times, no less--that he had disavowed his views on white supremacy, anti-Semitism, and Nazism. To hear Mr. Duke, the unity is cultural and benign, a love for Western Christian civilization that took him on a dark detour to Ku Klux Klan and Nazi activities he now disavows. "The common strain is my love for Western civilization," he said. "That's what I've always been about." With this line of rhetoric, he had gotten elected as a Republican in the two statehouse races. Any hint or tint of racism did not propel his two victories to office. Nobody trusted him, and Republican Party leaders up and down the ticket rejected his bid for office. A Democrat became governor in 1991, but then Republicans began sweeping the statewide offices after that. 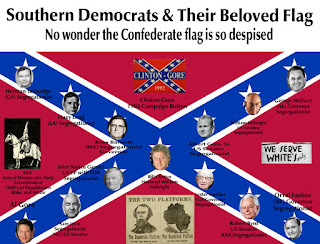 The Republican Party was overtaking elected offices throughout the South as the region had become less racist and more prosperous. From 1999 onward, Duke's affiliation has been a mystery. Then all of a sudden, nearly twenty years later, he jumped back into the media forefront, trying to tack himself onto President Trump's agenda of pro-American populist conservatism. Once again, the media deliberately smears and muddies the different political policies and affiliations. Supporting one's nation is not fascism, nor is it necessarily socialism. A love for Western Civilization cannot reasonably include segregationism, racism, or any form of reckless statism. David Duke wants authoritarian government, anti-Semitism, and white supremacy. Any form of racialist policies go against the Western tradition, which instructs and promotes the respect for individuals regardless of their ethnic background or cultural legacies. The voters in Louisiana and throughout the country were right not to trust Duke then. He had not shed his hateful beliefs. A quick look at his current website says it all. Oh, and when Duke ran for US Senate as a Republican, the Republican voters don't want him. 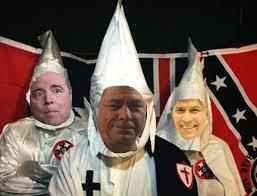 Oh, and just to assure everyone that the Republicans are more interested in supporting the truth rather than trashy, terrible candidates, then-candidate Donald Trump went on record declaring that if David Duke ended up as the Republican nominee for US Senate in 2016, Trump was ready to endorse the Democrat in the race. Yes, and this comes from Roll Call. David Duke wants the world to know that he supports Minnesota Rep. Keith Ellison’s attempt to become the next chairman of the Democratic National Committee. The former leader of the Ku Klux Klan likely complicated Mr. Ellison’s professional goals Monday by backing his efforts while alluding to claims by critics that he is anti-Semitic. Why? Because Ellison is an anti-Semite, just like Duke. 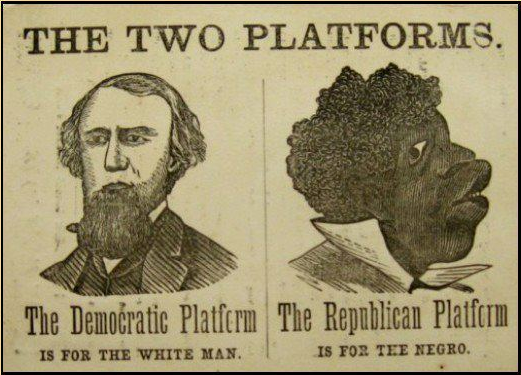 Notice once against the closer kinship with the Democratic Party. So, the final question sets in: why does Duke insist on identifying himself with the Republican Party, since he has been routinely rejected by GOP leadership and does not get their support in any way? 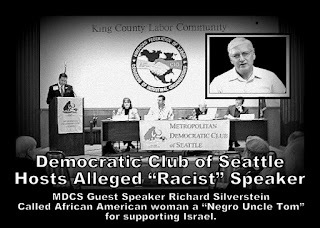 Neo-Nazis, anti-Semites, and white supremacists will get no action, traction, or attention if they run under the Democratic Party aegis. The left-wing media will not allow their carefully-crafted narrative to be destroyed so easily. Left-wing shills like Richard Spencer, Jason Kessler, and even David Duke know that they will get lots of attention if they claim to be right-wing, if they identify as Republicans. The media love to push that left-wing narrative and they use these trolls to foment this hatred. But it's all bogus, unsubstantiated lies. 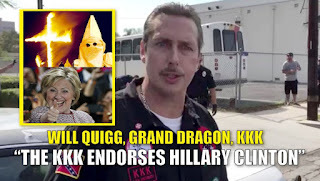 David Duke is another liberal fraud, a white supremacist hatemonger who started with and still belongs to the Democratic Party. Next, the degenerate racist neo-NAZI JTZilla is going to try to convince us that he's a liberal Democrat. LOL. That's some weak sauce, boy. I read a interview of him along time ago...maybe 20 years; in which he denounced his racial hatred of the past. He said what a great basketball player Michael Jordan was and gave a shout out to Michael Jackson music...he added Don't expect to be reading that anywhere else. He is still a BIG Jew hater...to this day as far as I know. This kind poster deserves a medal for exposing obvious racism! And he says mostly what you guys say on the right. 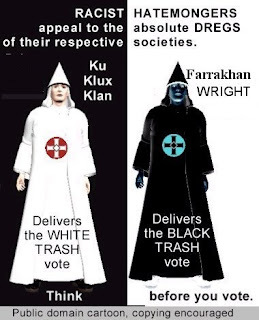 David duke has more in common with jt villa and blue devil. Big Tec said the same thing. Lol lmao. Notice you don't follow him around. So you agree on let's bring back lynching a "n....er"..? Nope but big rex said the same thing and you don't waste his time because he is a right winger on your side. Lol lmao. I notice you don't follow jt sills around either. Its so funny. Why would you repeat a comment like that anyway? I was reading a right wing paper and just repeated it. How can you be on the right after that statement. I was acting like big tex. And then you called Bernie Sanders a NAZI? Didn't you call Sanders a Nazi sympathizer? I called him a Nazi. Yes I did. What to you like best about Texas? BigSam? Maybe we can wet a line? I have lots of friends there.